Part 2 Settings (tell your 3D Store to use iframes) can be found here. This Permissions setting only applies to ver 1.0.0 of the WalkTheWeb plugin. 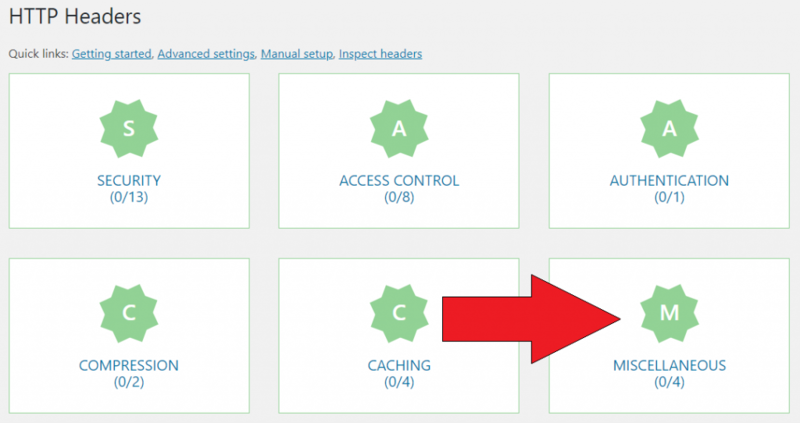 ver 1.0.1 incorporated the setting into the plugin via checkbox on the WooCommerce settings Advanced section. 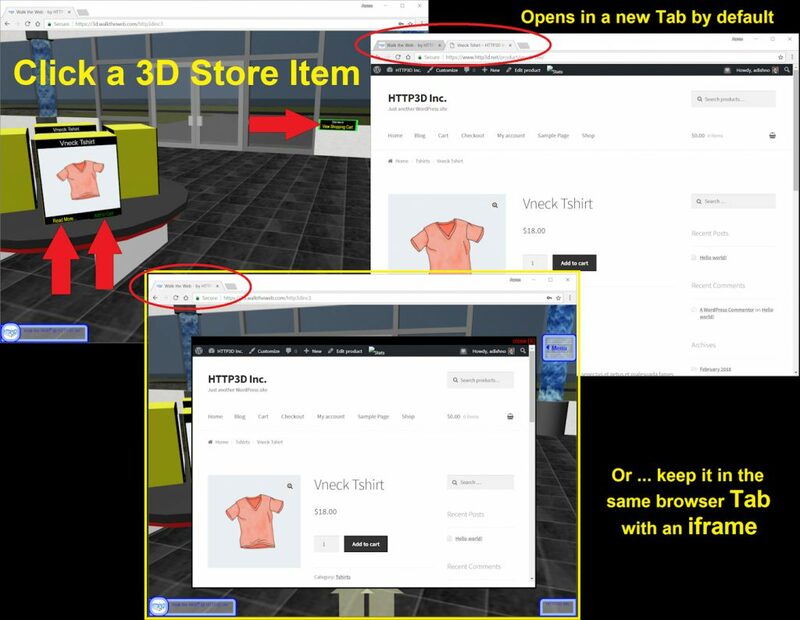 By default, when you click on a product Read More, Add to Cart, or View Cart in your 3D Store, it will open in a new Browser Tab (Separate Web Page). These instructions will set the permissions to allow your WordPress web pages to be opened in an iframe (In a box on the 3d Browsing Web Page). 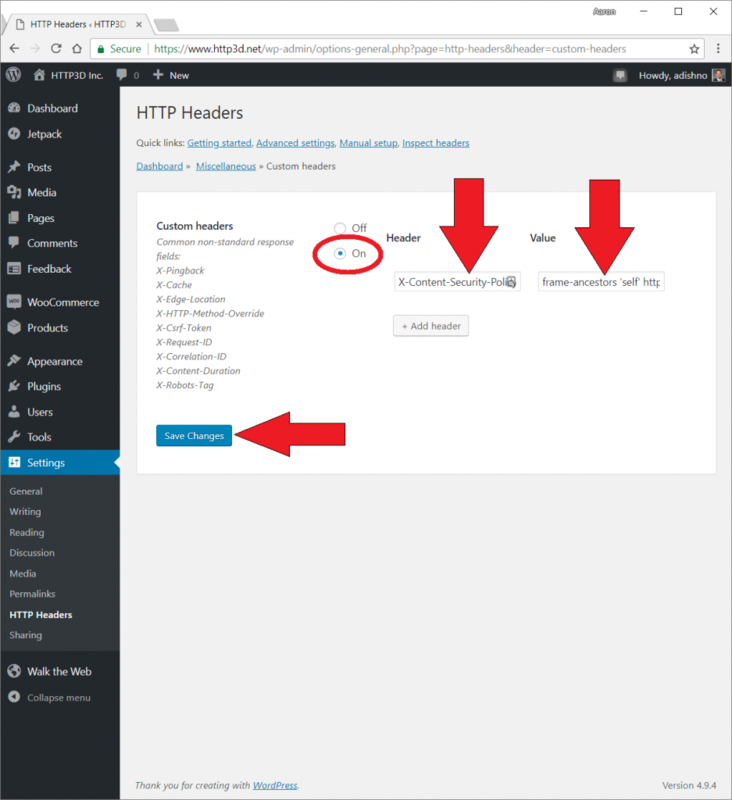 We are adding an HTTP Header to your WordPress instance to allow your site to be placed into an iframe on https://3d.walktheweb.com for your 3D Store Community and Admin of your 3D Site (…and if you have the personal upgrade of a custom domain name like http://3d.YourDomainName.com). Each domain name is separated by a space, all in one line. List http and https if that is what you need. Make sure you use single quotes around the term self. Even if you use a custom domain, make sure you have https://3d.walktheweb.com in the list so that your site works the same in Admin mode (when you edit the site). Permissions are set, now we can tell your 3D Store to use iframes.